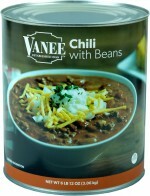 Heat CHILI WITH BEANS to serving temperature and cook hot dogs according to directions. 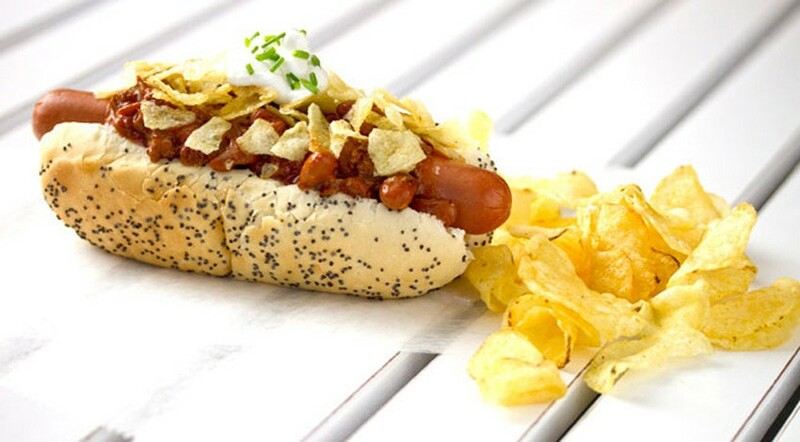 Place hot dog in bun and top with 2 ounces of CHILI WITH BEANS and crushed potato chips. Top with sour cream and chives (if desired).